Sony Michel is a football player who plays as a running back in the National Football League (NFL) for the New England Patriots. He was selected by the team in the 2018 NFL draft following his great run during college that got him ranked among the best running backs. Even though he is still new in the NFL, he is one of those that many would bet on to achieve great things and that is not only because he has made it to the Super Bowl in his first year. It was on February 17, 1995, that Sony Michel was born in Orlando, Florida, to immigrant parents who moved to the States from Haiti. He was raised in a poor family alongside a half-sister, Lamise and an elder brother Marken Michel who now also plays in the NFL. With an athletic father who used to play soccer when he was in Haiti, Sony and his brother had been playing football since they were kids. At the age of seven, he began playing as an offensive lineman. Interestingly enough, he hated the sports and when he was just eight, he wanted to call it quits. However, when as a big kid he ran over a starting running back when they did hitting drills, he realized that he loved it after all and he started playing running back. Sony had his education in Plantation, Florida, at the American Heritage High School. While there, he played for the American Heritage Patriots while also participating in track and field. From here, he moved to the University of Georgia where he teamed up with Nick Chubb to make a career rushing yards of 8,259 rushing yards – thanks to their combined 326 rushing yards in the Rose Bowl, putting them above Eric Dickerson and Craig James who had a record of 8,192. The career of Michel in the NFL began after the 2018 NFL Draft in which he was selected by the New England Patriots in the first round as the 31st overall pick. He made his debut against the Jacksonville Jaguars in a 31–20 loss. In a 4th week game against the Miami Dolphins that was won by the Patriots, he recorded 26 carries for 112 yards and a touchdown making him the first rookie since Brandon Bolden in 2012 to top 100 yards on the ground for the Patriots. He soon also set other records including the record for most playoff rushing touchdowns for a rookie (5). Looking at his 2018 career statistics, after playing 13 games in which he started 8, he recorded 931 rushing yards, 6 rushing touchdowns, 7 receptions, 50 receiving yards, and no receiving touchdowns. Both parents of Sony Michel are immigrants from Haiti into the US. Although it was in the States that they met, they moved separately for the same reason of finding a better life. While the Patriots man said he doesn’t know the story of how his father moved, he knows about the movement of his mother to the states. Before she left Haiti, she had a daughter who was 19 months old. She spent three months in the Bahamas, before taking an overnight boat along with 13 others to Miami. All the 23-year old Marie had at the time was a small notebook which had her sister’s number and an uncertain future. She left her daughter back at home hoping to return when she found her way in the land of the free and home of the brave. At first, Marie took various odd jobs to support herself. In 1991, she met Jean Michel with whom she had her first son Marken Michel who also plays football for the Philadelphia Eagles in the NFL. After Marken, they had Sony before Marie went to Haiti to get back her daughter. In June 2018, following his contract with the Patriots and his endorsement deal with Adidas, Sony got cars for his parents. 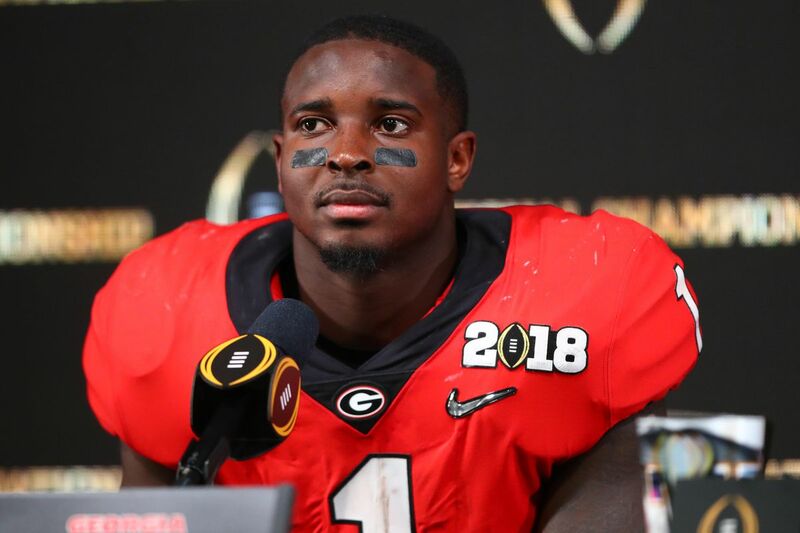 Sony Michel is a well-built man who has a height of 5 ft 11 in (1.80 m) and a body weight of 215 lb (98 kg). Inasmuch as his skill in the sport has been of utmost benefit to him, his build has also contributed immensely to his success. There are questions on social media that have been raised about the eyes of this Michel, there is no information provided to that regards. Nonetheless, it is known that his eyes color is black.